When it comes to resource stocks, the way to get people excited is by saying that you can buy a massive stockpile of X (oil, silver, gold, lead, whatever) for a fraction of its real value. If you can make that kind of promise, you’ll get at least some investors excited … even if the market is uneasy or even if commodity-related stocks are getting clobbered (as most of them are now). So that’s what’s happening here in today’s tease from Greg McCoach. 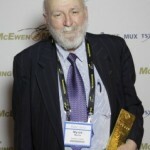 McCoach was fairly early to what is now a crowded marketplace of mining stock newsletters with his relatively low-cost Mining Speculator, which launched right around the time of the tech bubble’s burst a dozen years ago and therefore caught on to at least some of the excitement of gold’s almost constant rise over the past decade. He’s picked and teased some stinkers and poor performers, to be sure, including stocks like Canadian Zinc that illustrate the potential difficulty of permitting and building mines even in mining-friendly countries where a deposit has already been identified, or MetalCORP, which is one of the many metals explorers that never recovered from the 2008 crash … but he has also teased a few stocks that did very well (at least in the short term) and one or two longer-term winners. Frankly, mining is a terrible business, particularly at the bottom of the pyramid where the tiny startup companies are operating — rife with failure, delays, cost overruns and funding challenges and filled with companies run by pathological optimists … but, of course, it’s also one of the few sectors that offers investors the possibility of short-term returns of several hundred percent or more, with the bonus that commodity explorers are also generally leveraged to positive moves in commodity prices. So junior mining speculators take the good with the bad, research obsessively as they scan the latest core samples or drilling results or water rights disputes, and hope that they’re smart enough or lucky enough to sift out the winners … or, at least, that they’ll have enough winners to make up for the fact that they’re destined to choose some stocks that don’t find valuable resources, can’t produce those resources or can’t produce them at a low enough cost, or turn out to be scams. So after that cheery intro, how do you feel about finding out who Greg McCoach’s new silver favorite is? We’ve come this far, might as well actually reveal the deep, dark secrets. The underlying promise, shared in the emails that link to McCoach’s ad as well as by McCoach himself, is that silver is going to go up … and probably go up a lot … even more than gold, which every mining newsletter also believes will eventually resume its rise. That’s based on the fact that silver went up more dramatically than gold over the last couple years, and on the historical gold/silver ratio that is still out of whack because of Gold’s much more dramatic rise over the long term. I don’t know whether silver will return to the historic price of roughly 1/16th the price of gold (and I mean really historic, based on some pretty sketchy numbers going back centuries), partly because it’s the ultimate in supply-side thinking and doesn’t take into account the wildly varying demand for gold and silver in the “post-real-money” era (meaning, ever since gold and silver stopped being widely used as money — which is roughly the last 50-80 years, depending on where you draw the line). You could also argue that silver, as the more useful metal, is the one that’s priced more rationally, which would mean gold would have to come down dramatically to return that ratio to historic norms. I don’t know that we should rely that much on a ratio that has wavered from 10 to 100 over the last 100 years, but there are plenty of people who do put a lot of stake in it as the “real” ratio because it reflects the roughly 10 or 20-1 ratio between silver and gold in the earth’s crust, and the similar ratio in the numbers of ounces of in-ground reserves that have been identified by miners. I do own some gold and silver personally, and I’m not arguing that they should go up or down right now, or that it’s impossible for silver go to to $100 in the near future … I’m just throwing a little bit of sand in the works to slow down the gears enough that you can think it over. Nothing is as easy or as predictable as the enticing price projections and charts that most newsletter ads use. But anyway, that’s the short argument: Silver has gone up more, and it will go up more, says McCoach (in his words, “junior silver stocks are poised to skyrocket even higher than junior gold stocks”). And silver has certainly been far more volatile and exciting than gold. So what’s this silver miner that he thinks you should buy? “Billion-Dollar Mountain of Silver Trading for Under $1! …. “Having staked 46 claims in a site that spans 25,291 acres, they’ve quietly uncovered what could be a huge mountain of silver. “It’s a massive 35 million ounce silver discovery currently valued at an impressive $1.1 BILLION — and growing quickly. “In fact, I think this mountain could hold several hundred millions of ounces of silver. Rare, explosive and under a buck? Well, who can resist? “… not only does this company have exclusive 100% rights to what could be one of the world’s largest remaining untapped deposits of silver… but it’s also one of the richest silver finds on the planet…. “… all 15 holes they drilled except for one came up with high-grade silver. So we may have a conservative estimate here…. “It’s one of the richest silver belts on the planet… and it’s home to several world-class silver mines. “In fact, to the southwest of this company’s site is Cerro de Pasco, Peru’s fourth largest silver mine and one of the biggest in all of South America. “Plus this company’s site is mere miles from a massive $5 billion silver deposit that’s currently being exploited by Buenaventura Mining, a ‘senior’ gold and silver producer. So this is an area that’s absolutely teeming with mining activity. “Currently, our tiny silver company is exploring two separate mineral zones at its vast site. “The first zone contains the massive 35 million ounce deposit of silver, which, as I said earlier, is just the tip of the iceberg. So … that ought to be enough clues and enticement, right? What’s the company? Well, in the clues go — the Thinkolator is humming along nicely, not too long now … and there, our answer comes spitting out: this is Tinka Resources (TK in Canada, TKRFF on the pink sheets). And yes, as teased, it is teensy, with a market cap now of about $36 million and a share price just over 50 cents — so if you decide you love it, be careful. Over the last three months this stock has traded less than $100,000 worth of shares most days (and far less than that on the pink sheets), so it wouldn’t take too many Gumshoe readers, who are undoubtedly at least as wealthy as they are witty and good looking, to move the stock price if they decided to buy the shares. I don’t know when McCoach first mentioned this one to his subscribers, but we’re right in the middle of the 30-70 cent range it has bounced around in for the first half of this year and volume picked up considerably in February and March (which also coincided, to be fair, with some a bunch of news — mostly drilling results). The big silver project that McCoach is teasing is the Colquipucro project in Peru, which is a potential silver, zinc and lead mine — and the basic info that McCoach teases is an exact match for how they describe themselves on the website — 15 drill holes, all but one finding pay dirt (or pay rock, I guess); 46 claims over 25,291 acres (though the company uses hectares as their measure, so it’s the equivalent 10,234.85 ha — seems McCoach’s copywriter was trying to throw us off the scent by converting units of measurement, a common tactic); and the general descriptions of the rich veins of silver mineralization found. So I’m quite sure the Thinkolator’s answer is correct this time around. Though it’s worth noting, the company itself so far claims only about 20 million ounces of inferred resources in their official NI 43-101 filints (which themselves are four or five years old) — though I have seen vague commentary that they think there’s at least enough possible resource to bump that first site up into the 30-35 million ounce area, so I suspect that’s what McCoach is using as his source for the 35 million ounces. We know, of course, that silver spread throughout rock under a couple hundred feet of dirt isn’t as valuable as silver that’s been turned into a coin or a lovely piece of flatware, so it’s absurd to go straight to the 35 million “possible” ounces of silver in the ground and say that number should be multiplied by the price of silver, about $30, to say the company is worth a billion dollars. Absurd … but also, of course, the kind of lust-inducing verbiage that pretty much all the mining newsletters use. All explorers are worth a small fraction of the theoretical value of the metal (or whatever) in the ground, and always will be (why? Uncertainty about what’s really there, the cost of extraction, the long time it takes to get permits and build infrastructure and build a mine, the cost of processing ore, the uncertainty about what prices will be in ten years when they actually produce metal, the fact that almost all miners dilute like crazy to raise money for development, etc. etc.). But that doesn’t mean the company isn’t worth checking out — it just means that the idea that there’s a “real” value of a billion dollars hiding in this explorer is ridiculous (and yes, if the share price rose by the teased possible 2,496% noted above, it would be right up around a billion dollars in market capitalization … assuming they hadn’t also sold more shares along the way, which they almost certainly will). So that’s not going to happen … but is the stock worthwhile? Well, it’s early days and I’m no mining expert — but they are in a big silver mining district and they do have a large area to explore with some good drilling results so far. That doesn’t make them unique, but there is some “there” there — whether it’s worth $35 million right now, or more or less, is your choice to make (it’s your money, after all — and many of you know a lot more about mining than I do). If you want an optimistic snippet the Gold Report folks have summarized a few of the pundit commentaries on Tinka here (including McCoach’s), and the company itself is very self-delighted (as they all are) in their presentation here. 70 Comments on "“Billion-Dollar Mountain of Silver Trading for Under $1!” (McCoach)"
There is a fellow named Dan who has established quite a good blog called The Fundamental View who got me interested in Tinka several months back (at higher prices, I may add) and he is still calling it the silver story of 2012. I’ve been stopped out for months now but have just taken a small position recently, as I think we have seen a bottom (actually double bottom confirmed) in silver – not that it can’t go lower, of course! i go and visit the sites.the guy been at his computer in his little apartment story telling. If this is such a great company, why are the insiders selling? Those aren’t insider buys, but option grants. So they are giving themselves stock and cashing out, not a very positive sign. The green are the granting of Stock Options…. not a BUY. The RED are actual SELLS. I have an large epithermal deposit in Chihuahua state in the Sierra Madre Occidental, very similar to El Sausal with FeOx & Argillic alteration iside of the mining claim (18,590 hectares) I see your CUCHARAS report, too very similar at this deposit. I have subscribed to McCoach for aprox 3 years and, Nothing, absolutely nothing he has recommended has gone anywhere. I would call it a Disaster……Just seems strange… Shortly after his recommendations the stock falls…..Are we buying when he is selling!!??? Agreed Saabman. Not only is he over rated, he also does not deliver on his promises like the one he made that said he would reimburse subscriptions if targets were ot reached. In the big chew of 2008 Greg refused to reply to my emails asking where my refund was. Crook! I bought Mining Speculator a few weeks ago and the story on Dolly Varden silver seemed good. In a few days I was down 50%, so I asked for and received full refund for the subscription. I will profile it in upcoming column for irregulars when I am personally satisfied that it is a at a good buy point. The only real way to invest in silver is to hold the product in your hand. It’s had its ups and downs as gold has . But when the true financials come out of the fed you can bet Peru will nationalize it’s mining operations it will not be in favor of U.S. stock holders. There are a lot of pump and dump in the junior mining stocks! I would never invest a penny in a miner that has not over come the upstart phase to become self financing. One company that is seriously undervalued in the resource juniors is australian Silver Mines. They have proven silver in the ground (JORC) in a more or less mining friendly spot. Expect some action when (if) aus. premier Gilard gets kicked out of office by the voters. Yes Travis, I am as wealthy as I am witty and good looking, unfortunately. I believe I have seen indications that Peru is not the most friendly country for mining companies. I think these Jr. miners are interesting but can’t get over the feeling that investing in Jr miners isn’t much different than buying a lotto ticket. If you think silver is going up why not just invest in SLV? SLV is not backed with physical silver. PSLV is backed, but both are subject to shorting !!! Three safety deposit boxes full corresponds to my personal level of confidence in precious metals, but the use of safety deposit boxes does NOT. For all the same reasons that I have a great deal of my personal worth invested in physical silver and gold, the idea of having it behind the locked doors of an institution that the government can liquidate and have control over all contents as security against the debt keeps me much more dedicated to finding more clever and readily available methods of storage of much of what I have invested in. Based on what’s going on w.r.t. banks and safety deposit boxes are you still comfortable having anything of value in them? Fwiw, I wouldn’t be. There is a miner in southern Peru named Bearcreek, BCEKF, that appears to be sitting on a LARGE mountain of silver. Possibly worth checking out. Go to bearcreekmining.com. Appears viable. I get fliers in the mail pushing small oil companies for usually under $ 2.00 a share and when you wait 2 months to check on the price it is anywhere from 7 to 30 cents a share. Hype it up. We hav to watch this touting. Rarely pans out. This isn’t Vegas! Patience is the key gentlemen. The gld/slv charts are coiled like a snake ready to strike. Wait for market confirmation. Sept. and early Oct. should provide market insight. If the Germans refuse to bail southern Europe put on your life jackets. Bear Creek Mining fell drastically because the Peruvian government withdrew the licence Bear Creek had obtained (people 250 miles south of their new mine barricaded roads, etc because they believed the mine would poison the environment. BC are taking legal action against the Peruvian government. Who knows …. If ya want a good BIO Pharma on the NASDAQ and not some PUMPED crap OTCBB , Pink or Canadian LOOK into ANTH …… BIG MONEY can be made with this one …..not some pipe dream crap! Do your own research on ANTH! Meanwhile, seven months later, ANTH has lost about half its value. Just sayin’.